Every football fan is waiting for FIFA 17 release. 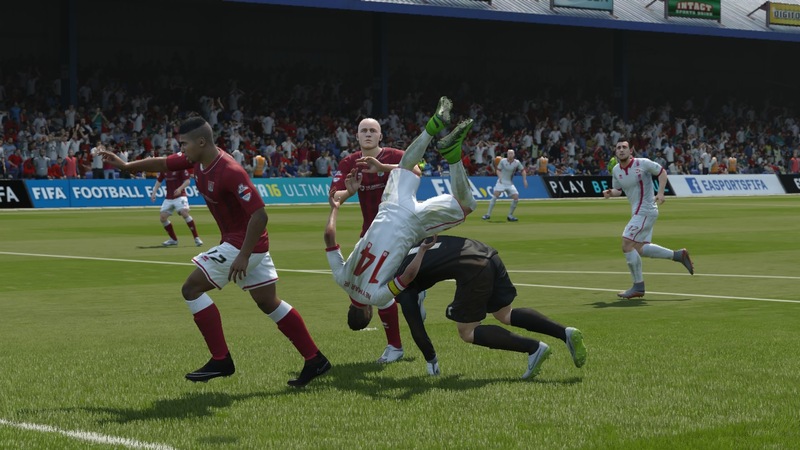 Even though FIFA 16 has been a really good game, there are lots of new features that can be added to the game to make it even more exciting and realistic. Improvements to the FIFA 17 and desired features are most popular topics among FIFA game fans. Here we have a list of FIFA 17 features which fans expect to see in the next version of the game. Let’s take a look and hope that some of the features will be included in FIFA 17. Players don’t grow physically in current FIFA games. So EA developers should consider making the growth of players more balanced. Also, as growing physically, their strength should fall slowly. The option to twist kits could give FIFA game a new face and make it a little more engaging. 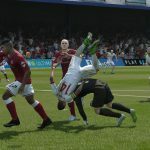 EA can include an option to twist kits every year, on every new season. There is no need to change everything; some new accents would also mean a lot. For example, if you are playing for Arsenal, new design attributes like stripes can be added. It is always great to play from the champion’s team side but sometimes it feels nice to play from the smaller team side also. Such changes would make FIFA 17 game even more challenging. So EA should really consider adding new reserves teams. Adding more Swedish leagues to the game would definitely be entertaining. So there is no doubt that EA should include Swedish leagues to FIFA 17. This feature has been awaited for such a long time. EA Sports should finally do something about it as there is such huge demand from the FIFA game fans side. There should be an option added to change the color and pattern of the nets, also – lightness and looseness. Nets in FIFA 15 and FIFA 16 were really saggy. FIFA fans would love to see the real manager in the game. They are tired looking at those old bald men roaming there ant there, FIFA 17 fans want professional managers in the game. EA Sports should introduce developments to make crow more lively and energetic. It would be great to feel their enthusiasm or even disappointment. Would be a great add in FIFA 17. It was quite strange when EA didn’t include this team in FIFA 16 but we hope to see them in FIFA 17. We think that is about the right time to include Dinamo Zagreb as they have qualified tournaments and have some awesome players. Fans are expecting new leagues to be included to FIFA game every year. They hope to see many new leagues in FIFA 17 also. That would be Greek, Ukrainian, Croatian, Serbian, Romanian, Finland and Bulgarian leagues. Brazil Champions league and Europe league is also in the list. EA Sports should include other legends in FIFA 17. All the South American Leagues like Ecuadorian, Bolivian and other leagues should be added. And the list continues so FIFA should really have much more leagues added than they have now. Online career mode in FIFA 17 would be a great addition. Let’s say, 2-4 players’ option could be a good start. This new feature would increase the integrity of the game and level up the enthusiasm of FIFA 17 game fans. Have something to add? Share your ideas in comments section.